Japan is a quiet place, at least from a geopolitical standpoint. It makes few political demands on other nations, and no military ones. Article 9 of its constitution forbids it from maintaining any military force. Article 9 has been reinterpreted to mean that it can maintain a substantial military for self-defense, under the principle that self-defense is a natural right, but that force cannot engage in offensive military operations – and it certainly can’t do so unilaterally. Since its banking crisis in the late 1980s and early 1990s, global financial markets have expected that Japan will face a financial crisis that will create domestic upheaval. It hasn’t happened. Instead, Japan grows slowly and sometimes not at all, but compared to much of the rest of the world, it is seemingly at peace with itself. It has not always been this way. In the first half of the 20th century, Japan sought to take control of the Western Pacific and China. It had defeated the Russian navy in 1905, and then challenged the United States and European powers in the Pacific. It temporarily claimed an empire in China and in the littoral islands of Asia, ranging from Taiwan to the Dutch East Indies to the gates of India. This lasted for only three years, but for the first part of those years it appeared that Japan had permanently reshaped the balance of power in the Pacific and in Asia. *** Afghanistan, Iraq, Syria, ISIS, and Iran: Is "Half" a Strategy Better than None? The United States seems to have at least a short-term military strategy in Iraq and Syria. It is actively seeking to drive ISIS out of its remaining population centers in Mosul, Raqqa and the rest of Syria and Iraq. The United States also seems to have adjusted its military strategy in Afghanistan in a more open ended way: it will add some 4,000 troops and expand its military train and assist mission, boost the Afghan counterterrorism forces, and provide substantially more air support. It has some elements of a military strategy in dealing with Iran: largely consisting of working with its regional allies to deter and contain Iran while still debating what to do, if anything, about the Iran nuclear agreement – the JCPOA. There is no element of strategy for conflict termination or stability operations, even in the most narrow military sense of the term. The announced plan for dealing with ISIS is essentially to deprive it of control of major population centers, but no strategy or plan has been announced for what happens next. The Italian government has bailed out its banks again, and in doing so it has unwittingly shown just how ineffective the European Central Bank may be. On June 26, Rome finalized a deal, agreed to in principle earlier in the month, to save Monte dei Paschi di Siena, one of the country’s largest and most important commercial banks. In another deal made June 25, Intesa Sanpaolo, a much more stable bank, will bail out Veneto Banca and Banca Popolare di Vicenza. Both agreements involve Italian government funds and prevent senior creditors from incurring losses, a politically contentious issue for a country in which many retail investors hold bank debt. Both deals also skirt the European Union’s strictest banking regulations, which allow Brussels to impose losses on senior bondholders. But the ECB hasn’t actually had to enforce these measures yet. In fact, it didn’t even enforce them on Italy – there’s a chance the measures would have failed, and their failure would only have validated concerns of the ECB’s fecklessness. There are three ways a bank can be bailed out under ECB guidelines. The first is a resolution process managed by the Single Resolution Board, an organization established by the European Union to prevent taxpayers from bearing the financial burden of bailouts as they did after the 2008-09 financial crisis. When the ECB determines that a bank has failed or is about to fail, it refers the case to the SRB, which, according to the EU banking framework, can but is not required to impose losses on shareholders, junior bondholders, senior bondholders and unsecured depositors – in that order. When 8 percent of the bank’s liabilities are accounted for in this “bail-in,” capital from the Single Resolution Mechanism fund can then be accessed, and the member state’s national government can also provide funding. Previous columns have examined the underlying forces — from aging populations in the advanced industrial world, to technological change compensating for lagging productivity, to major evolutions in global trade — that have put this most recent global rebalancing in motion. This rebalancing will take generations to play out but is growing more visible by the day. Just watch the battle lines being drawn by the "globalists" and "nationalists" from within the tense corridors of the White House to the flag-lined stage of the upcoming G20 summit in Hamburg, where host German Chancellor Angela Merkel will once again face off against U.S. President Donald Trump. Over 40 years after India formally annexed Sikkim after a referendum, China has still not unequivocally accepted Sikkim as part of India. Although the Sikkim border between China and India has often been a source of diplomatic and military tensions in bilateral relations, the Sino-Indian frontier has been largely quiet since 1967 when the two armies fought a short but brutal local war. But it would be incorrect to infer that with such large concentrations and spread of troops, often eyeball to eyeball, that there is no tension. Why did the latest military standoff break out? Both sides have resorted to a blame game, accusing each other of crossing the boundary. But what has really happened? Is it a coincidence that it occurred just days ahead of Prime Minister Narendra Modi’s summit meeting with Donald Trump? An Ian Fleming character had once rightly said: “Once is happenstance, twice is coincidence and third time is an enemy action.” Such flareups at a time when the Indian leadership is meeting with leaders like Xi Jinping and Donald Trump are now running out of coincidences. A clear pattern is now emerging. Whether it is our or their side that is provoking it doesn’t matter much. The Indian public believes it is China that is ratcheting up the tensions. The Chinese public thinks it is India. In the new world of mass and instant communications, perceptions are the truth. What do we get if we turn our attention away from the text of the ‘Critical Edition’ of the Mahabharata, and focus it on the recensions which were left out? Indians like me begin their love affair with the Mahabharata from nanima’s stories. Epic metaphors and references pervade our Weltanschauung and values along with our earliest memories. As A K Ramanujan once famously said, “No Hindu reads the Mahabharata for the first time. When we “grow up” a little, we might read C Rajagopalachari’s abridged (might I add, sanitised) version. Few of us go on to read the unabridged epic in any language, and even fewer in the original Sanskrit. Those of us who do may notice that the colophon or introduction specifies whether it is the Calcutta edition, the Bombay one or another. Further study brings us to the realisation that each edition has variations — in words, verses, even complete episodes. Important episodes in one edition may not exist in another. In the same episode, verses can be omitted and the verse order can differ, which affects narrative continuity and the literary and philosophical impact of a given passage. Given the bewildering variety and variation in the different recensions of the Mahabharata, in the late nineteenth century a movement began to create a “critical edition” of the epic. This task was undertaken at the Bhandarkar Oriental Research Institute, Pune, in 1917 and was completed nearly 50 years later in 1966. Teams of Indian and Western Indologists, supported by traditionally trained sastris and highly qualified university students, undertook this gargantuan task. It was not too long ago when Israeli diplomats considered India a hardship posting. Those souls braving the pokey confines of the Israeli Consulate on Peddar Road in Mumbai, protected 24×7 by a contingent of armed Maharashtra Police, were incentivised by higher emoluments and career advancement. This was before diplomatic relations were “normalized” and the representation scaled up in 1992 to the ambassadorial level by the Narasimha Rao government. In the new millennium, Delhi is a much sought after station. 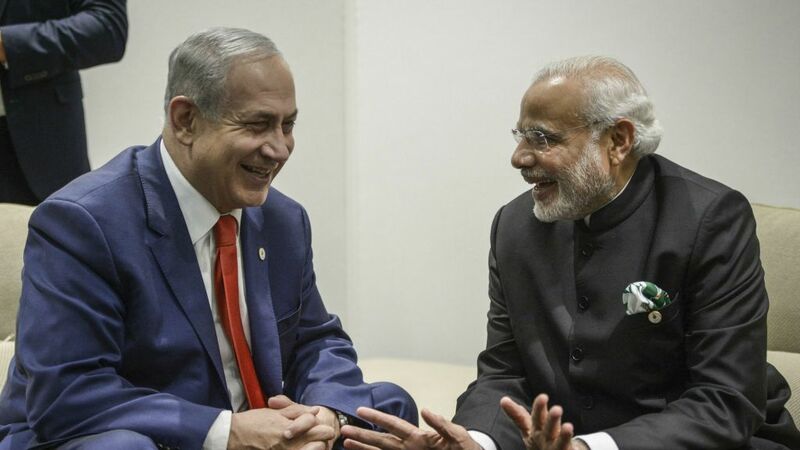 Ambassador Alon Uzpich, for instance, went from Delhi to an appointment as Adviser to Prime Minister Benjamin Netanyahu in one fine leap and lost no time in urging his boss to establish a separate bureau in the Israeli Foreign Office to deal with India, which Netanyahu duly did two months back. India and Israel have a uniquely close relationship. It dates back to trade in King Solomon’s time, and the first Jews seeking refuge in India after the razing of the Second Temple in Jerusalem by the Romans in 70 A.D. The two countries share similar histories of birth as modern nation-states. The departing British colonial power did its standard ‘cut and run’ in the Palestine Mandate territory in 1948, as it had done in the subcontinent the previous year and leaving behind the bloody partition debris for the peoples to build on. China is keenly watching the defence agreements set to be inked by Prime Minister Narendra Modi and US President Donald Trump in Washington on Monday, with particular attention on the deal for surveillance drones that would boost India's capabilities in the Indian Ocean, Chinese experts have said. The agreement for around 22 unarmed surveillance drones is among the agreements on the agenda, while a deal for co-producing F-16 fighter aircraft was also finalised before the visit between Lockheed Martin and Tata. Han Hua, a leading Chinese strategist who is Director of the Center for Arms Control and Professor at the School of International Studies at Peking University, told India Today: "Some people in China are a little concerned. Still, it is not the most advanced technology being shared for example when you look at the F-16s. But that is only one issue of defence cooperation. There is also the transfer of surveillance drones in the Indian Ocean. It will increase India's capability to have a view over the entire Indian Ocean. That is more symbolic than the F-16 joint production." China is closely following the outcomes of the visit. As in Delhi, there was some concern in Beijing following Trump's election considering his unpredictability, although Chinese President Xi Jinping had a surprisingly cordial visit to the US, where he was welcomed at Trump's Mar-a-Lago resort. Does Islamic State Pose a Threat to India? India first woke up to the emerging threat of Islamic State (IS) on its soil in May 2014, when four engineering students from Kalyan, Maharashtra, joined the group. In the intervening years, the security services have arrested more than 90 IS sympathizers, according to Indian Home Minister Rajnath Singh (Indian Express, June 3). Alongside this, at least six separate recruitment and indoctrination networks have been unearthed (DNA India, October 16). Nonetheless, IS does not, on the face of it, have a physical presence in India, although at least two attacks can be attributed to Indian affiliates of the group. Should India be more worried about an IS threat? On March 7, a blast on a Bhopal-Ujjain train, near Jabri railway station in the Shajapur district of Madhya Pradesh, left at least 10 people injured. The attack, later reported as IS-inspired, triggered a nationwide investigation by the intelligence agencies that centered on the states of Madhya Pradesh and Uttar Pradesh (India Live Today, March 8). 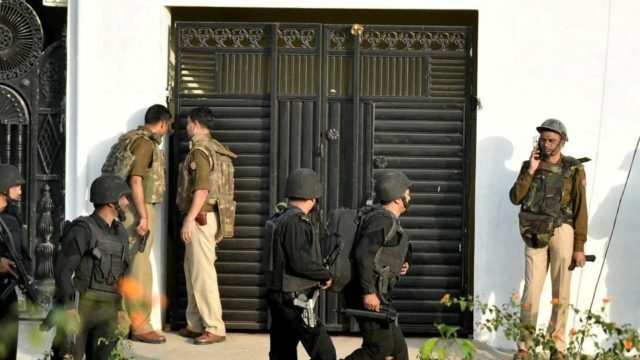 The security services rounded up several people suspected of being part of a nascent militant network, killing one member of the suspected group, a man identified as Mohammed Saifullah, in a shootout in Lucknow’s Thakurganj area. The suspects — including Saifullah and the supposed architect of the plot, a former Indian Air Force (IAF) employee named Mohammad Ghaus Khan — were natives of Uttar Pradesh’s Kanpur and Aligarh cities and are said to have been influenced by Mufti Abdus Sami, a pro-IS cleric who has been in the custody of India’s National Investigations Agency since February 2016 (Firstpost, March 10). The army ought to beef up deployment in the Kishtwar area, to guard an arc from the Keylong pass on the Manali-Leh road to Padar and beyond. As things stand, most of the army deployment under the Northern Command is oriented to the Pakistan threat. To be sure, the current government has upped the deployment on the eastern front in the area controlled by the Northern Command from one brigade to three. Tripling deployment sounds good, but even that barely adds up to a division — not the sort of force that would deter China's People's Liberation Army (PLA). The reason I point to Kishtwar is that the real 'great game' over Jammu and Kashmir is not over human rights or religious solidarity. Pakistani analysts have long acknowledged that water is the most vital geostrategic objective. And, of the three major rivers that flow through the state, the most strategically vital is the Chenab, which flows from Kishtwar. On the one hand, whichever force were firmly entrenched in the mountainous and forested Kishtwar area would be tough to pry out. On the other hand, Kishtwar is an extraordinarily strategic location. It connects with Himachal, the Kashmir Valley, and Ladakh. Will Taliban gain as ISIS on its last legs? It possessed territory, access to sources of revenue like oilfields (in Mosul), a fighting army, and administrative and police structures. While the Russian claim that ISIS chief Abu-Bakr al-Baghdadi was killed in one of its recent air attacks needs corroboration, it is confirmed that Islamic State or Daesh, as the outfit is known in Arabic, has been driven out of Mosul in northern Iraq, its command headquarters, by government troops. Iraqi forces took control of the al-Nuri mosque in central Mosul, historically one of Islam’s most iconic sites, from Daesh after fierce fighting towards the end of June. It was from this famous shrine that al-Baghdadi had on June 29, 2014 declared himself as the “caliph”, or leader, of all Muslims and founded Islamic State. With the Iraq Army mounting a heavy campaign to capture Mosul, the so-called caliph fled his headquarters, leaving its defence to local commanders. Is ISIS finished as an organisation, and have those who spread terror in its name been defanged? Probably. But this should be said with the proviso that ideological currents take time to fully abate even when the organisational structures that prop them up are dismantled. It will help if the government in Baghdad adopts policies that are perceived as respectful of Iraq’s Sunni minority. 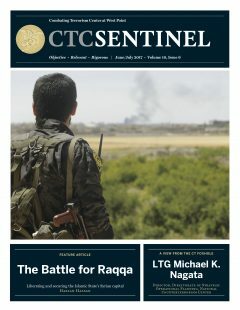 With ISIS-dominated areas of Iraq falling, it is unlikely that the contiguous region around Raqqa in Syria, which is ISIS’ administrative capital so to speak, can hold out. In that sense, the organisational dismemberment of ISIS in the foreseeable future can be said to be on the cards. The present standoff between Indian and Chinese troops in Doka La (Doklam) is a rare insight into New Delhi’s very special relationship with Bhutan, which includes military responsibilities towards it. 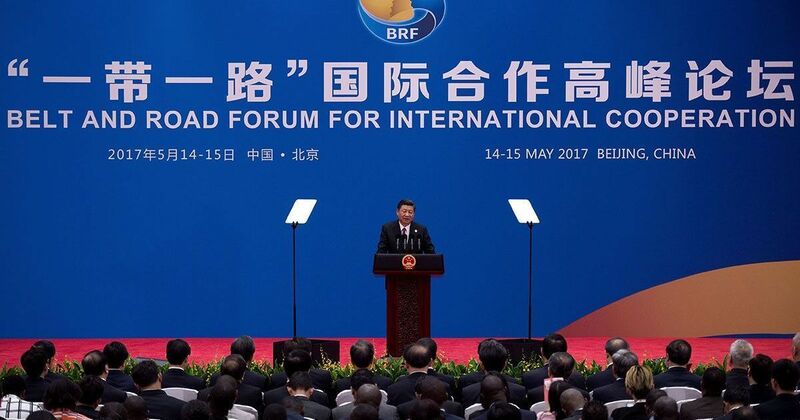 Taking inspiration from the ancient Silk Road trading route, China’s One Belt One Road initiative, or OBOR, hopes to link more than 65 countries, encompassing up to 40% of global GDP. Xi’s signature foreign paradigm – linking China to Asia, Europe and Africa via an ambitious network of ports, roads, rail and other infrastructure projects. Beginning in China’s Fujian province, the projected Maritime Silk Route passes through the Malacca Strait to the Indian Ocean, moving along the Red Sea and the Mediterranean, ending in Venice. EXECUTIVE SUMMARY: On June 5, Saudi Arabia, Egypt, United Arab Emirates, Bahrain, and several other Sunni Muslim countries suspended their relationships with Qatar, creating one of the worst crises to befall the Muslim Sunni world in a decade. China, the second-largest economy in the world, has an interest in the achievement of a resolution to the crisis, and may have a role to play. It can tell one side “you made your point” and the other “you learned your lesson”. China needs these countries and has a lot to offer them in return. The crisis currently facing the Muslim Sunni world might prove a historical turning point. 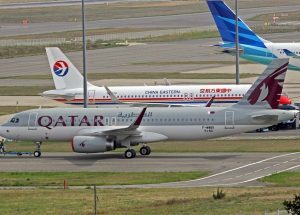 Saudi Arabia, Egypt, United Arab Emirates, Bahrain, and several other Sunni Muslim countries cut off their relationships with Qatar on June 5. They did not simply sever diplomatic relations and economic cooperation, but went so far as to shut off their land routes, maritime routes, and airways. They told their citizens who live in Qatar, and Qatari citizens who live in their countries, to leave within two weeks. These highly irregular and dramatic steps are explained by Doha’s support for radical Islamic movements that the Gulf countries believe threaten their stability and dominion. The Gulf countries are also making a statement about Al-Jazeera, the Qatari media group, which they perceive to be undermining their sovereignty. As relations between China and North Korea continue to deteriorate amidst Pyongyang’s dogged pursuit of nuclear weapons and intercontinental ballistic missiles, the Chinese People’s Liberation Army has made what appear to be preparatory deployments in the border province of Jilin. On June 15, the state-controlled China Military Online published snapshots of airborne troops training with WZ-10 attack helicopters of the Gongzhuling air force base near Changchun, capital of Jilin Province. The troops are reportedly from the 15th Airborne Army, which was reorganized in April, according to Sina Military Net. The army had been a divisional unit, but was dispersed into a force of smaller brigades, which were attached to various ground units across China. The Sina report said that this was the first time after reorganization that some of the brigades belonging to the airborne force were deployed to northeastern China, which is located in China’s Northern Theater Command. WHEN A RANSOMWARE outbreak exploded from Ukraineacross Europe yesterday, disrupting companies, government agencies, and critical infrastructure, it at first appeared to be just another profit-focused cybercriminal scheme—albeit a particularly vicious and damaging one. But its origins in Ukraine raised deeper questions. After all, shadowy hackers have waged a cyberwar there for years, likely at Russia’s bidding. 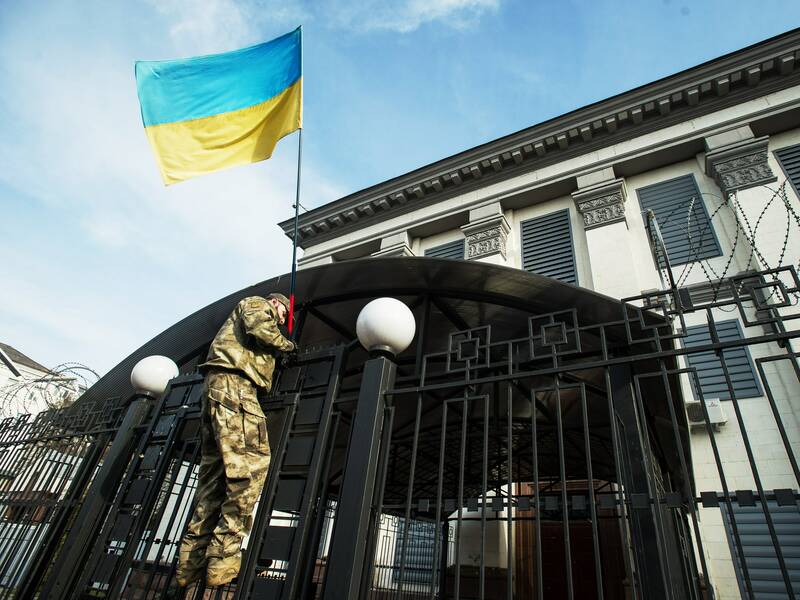 On Tuesday morning, Ukrainian media was the first to widely report the Petya infections, as it hit targets including Ukrainian banks, Kiev’s Borispol airport, and energy firms Kyivenergo and Ukrenergo. That’s what the president’s National Security Advisor H.R. McMaster said today at the annual conference of the Center for a New American Security. H.R. seemed to be both signaling China that it should act and use those levers, and telling us that the Chinese president made pledges on which he hasn’t yet acted. McMaster cast Xi’s meeting as a “shift in Chinese thinking.” But he also said, “this is something that is not going to be decided in the next couple of days or weeks.” So there may have been a shift but we don’t have anything concrete to show for it yet, seems to be the bottom line. Retired Admiral James Stavridis believes the Trump Administration fails to recognize the importance of our oceans. In his new book Sea Power: The History and Geopolitics of the World’s Oceans, Stavridis is troubled by the U.S. withdrawal from the Paris climate accord and a proposed budget that boosts military spending, but does little to increase naval capabilities. The Cipher Brief’s Kaitlin Lavinder talked with Stavridis, who previously served as NATO’s Supreme Allied Commander-Europe and is now Dean of The Fletcher School at Tufts University, about why the seas are important and what challenges the U.S. faces on the waters. The Cipher Brief: Your new book Sea Power was recently released. Why did you write this book? Why now? Admiral James Stavridis: One, in today’s world, there’s a huge economic component. Ninty-five percent of the world’s goods are moving on these oceans. Two, our alliances, in so many cases, are overseas and also interwoven with maritime, military, and security activities. Three, the challenges that are arising today on the oceans from Russia and China – who are building big, new, powerful navies – as well as the potential, in the long-term, of terrorist operations in the maritime space. Fourth and finally, the environment. I’m deeply concerned about acidification of the oceans and the potential to lose our source of oxygen. Seventy percent of the world’s oxygen comes from photosynthesis in the sea. Editor’s Note: A recent article in Foreign Affairs by Ely Ratner has sparked a debate among Asia-watchers. Part of this debate has played out in The Interpreter, the online magazine of the Lowy Institute for International Policy, an independent, nonpartisan think tank based in Sydney. War on the Rocks is proud to be publishing select articles from The Interpreter, where Hugh White responded to Ratner, who then chimed in with a retort. We hope you learn from this debate as much as we have. Earlier this month, in his speech at the Shangri La Dialogue, U.S. Secretary of Defense James Mattis twice declared that China’s assertive conduct in Asia to be “unacceptable.” That is tough language – tougher then Washington has used before. This raises the question of what he plans to do about it. He needs to do something much more effective than anything America has tried so far. Otherwise the gap between bold words and timid action will grow, U.S. credibility in Asia will shrink even further, and Mattis will have handed China another easy win in the contest for regional leadership. Lieutenant General Michael K. Nagata assumed the position of Director, Directorate of Strategic Operational Planning at the National Counterterrorism Center on May 13, 2016. Previously, LTG Nagata served as the Commander, Special Operations Command Central (SOCCENT), a sub-unified command of CENTCOM, from June 2013 to October 2015. A native of Virginia, Lieutenant General Nagata graduated from Georgia State University and commissioned as an Infantry Officer in 1982. He initially served as a Platoon Leader in the 2d Infantry Division before volunteering for Army Special Forces in 1984. Throughout his career he served in various positions within Army Special Forces to include: Detachment Commander, Executive Officer, Battalion S-3, Operations Center Director, BN Executive Officer, and Group Operations Officer. Later, he served as the Commander of 1st BN, 1st Special Warfare Training Group, responsible for the Special Forces Qualification Course. In 1990, he volunteered and assessed for a Special Missions Unit (SMU), in which he served at various times throughout his career as a Troop Commander, Operations Officer, Squadron Commander, and SMU Commander. After graduating from the National War College, Lieutenant General Nagata served in the Office of the Undersecretary of Defense for Intelligence. He then served within the Intelligence Community as a Deputy Director for Counter Terrorism. As a general officer, he has served as the Deputy Chief, Office of the Defense Representative to Pakistan (ODRP), the Deputy Director for Special Operations and Counter Terrorism (J-37) of the Joint Staff, and Commander, SOCCENT. A band of Neo-Nazi officers allegedly conspiring to commit a false-flag terrorist attack was only the most bizarre of the scandals that has rattled Germany’s military in the past year. Other allegations include sadistic practices in training, sexual harassment, and revelations about World War II memorabilia on various Bundeswehr bases. At the root of such scandals is a wide gap between Germany’s military and German society. The military is sent into combat, but society often refuses to acknowledge that preparedness to fight and to make sacrifices requires heroism — a term Germans are deeply uncomfortable with. Society’s failure to understand the military profession opens the door for right-wing ideologues in the Bundeswehr to lay exclusive claim to military values and to commit abuses in their name. Where extremism and excessive violence occur, the Bundeswehr regularly turns a blind eye to misconduct within its own ranks, expecting blanket condemnation of their profession if failures come to light. Germans need to understand what sets the military apart: the readiness to serve, kill, and die for society. Otherwise, the Bundeswehr will retain the painful sense of rejection that lies behind the cowardly failures of its leadership to prevent and prosecute criminal acts and breaches of honor. Ever heard of quantum entanglement? If you haven’t, don’t feel bad. As I have written about before, quantum theory is the abstract basis of modern physics. It explains the nature and behavior of how matter acts. Albert Einstein discovered quantum entanglement in 1935. He said it is "spooky action at a distance." It examines how one quantum particle could affect one another, and that effect is faster than the speed of light. It is one of those advanced/emerging technologies that has been around for a while and is really beginning to show promise. One of the more interesting applications of this advanced technology is cybersecurity. Many believe it holds the key to what is being called hack-proof digital communications. Basically, this hack-proof capability is based on the principal that an adversary can’t look at the communications without changing or destroying it. Many world renown scientists believe that China has taken the lead when it comes to quantum communication. Recently, a team of Chinese scientists conducted a quantum entanglement experiment using a satellite and was able to beam entangled pairs of photons to three ground stations located in China about 700 miles apart. Previous work has had similar results, but never has it been done over such a great distance and from a satellite. While this is far from being ready to field, it does represent quite an accomplishment and a huge step forward. With the advent of digital communications, people thousands of miles apart can engage with each other seamlessly, and businesses can operate at a scale previously unknown, thanks to a burgeoning consumer electronics industry. But not all aspects of this industry are positive. Some contribute to global insecurity and human suffering. In all computing machines, including mobile phones and laptops, are the minerals tin, tungsten, tantalum, and gold – also known as 3TGs. These hyper-conductive and resilient metals are mined around the world, but much of the global supply chain begins in mines in Central Africa. The often-informal mineral trade there provides revenue for brutal militant and terrorist groups and deepens corruption throughout the Great Lakes region, particularly in the northeast region of the Democratic Republic of the Congo (DRC) where many of the mines are located. If the United States is serious about its commitment to stop international terrorism and transnational threats, then it must sever the financial lifeline these minerals provide to groups that stand in the way of stability. That’s not simple when they are critical to the booming digital industry. Central Africa has long been plagued by exploitation of minerals that fed into war machines. During World War I, Congolese copper was used to make some 75 percent of the brass casings fire by Allied troops during the battles of Passchendaele and Somme. On June 25, 2017, Hason gave a tour of CyberGym’s training facilities in Israel to the international press delegation to Cyber Week 2017, a group of about 30 journalists (including myself), invited and hosted by Israel’s Ministry of Foreign Affairs. CyberGym has similar facilities in Portugal, the Czech Republic, Lithuania, and Australia, and plans to expand in the near future to the North America and Asia. The N.S.A. has kept quiet, not acknowledging its role in developing the weapons. White House officials have deflected many questions, and responded to others by arguing that the focus should be on the attackers themselves, not the manufacturer of their weapons. But the silence is wearing thin for victims of the assaults, as a series of escalating attacks using N.S.A. cyberweapons have hit hospitals, a nuclear site and American businesses. Now there is growing concern that United States intelligence agencies have rushed to create digital weapons that they cannot keep safe from adversaries or disable once they fall into the wrong hands. On Wednesday, the calls for the agency to address its role in the latest attacks grew louder, as victims and technology companies cried foul. Representative Ted Lieu, a California Democrat and a former Air Force officer who serves on the House Judiciary and Foreign Affairs Committees, urged the N.S.A. to help stop the attacks and to stop hoarding knowledge of the computer vulnerabilities upon which these weapons rely. The NSA, which sees its mission as collecting signals intelligence (by breaking into networks) as well as protecting vital U.S.systems, is partially to blame for Tuesday’s massive global cyber attack that hit utilities across Ukraine and Europe and even effected companies inthe United States. The criminals used Petya, a software kit described as Ransomware-as-a-Service by its creators, self-styled Janus Cybercrime Solutions. It allows anyone to launch their own ransomware attack easily and conveniently. Pricing is highly competitive—Janus Cybercrime charges nothing upfront and instead accepts a cut of the ransom. Like the WannaCry attack that crippled tens of thousands of systems in May, Petya relies on the DoublePulsar backdoor and an exploit of a bug in the Microsoft Windows Network protocol called EternalBlue—NSA hacking tools, publicly released on April 14, 2017, by The Shadow Brokers, a group who have previously released more than a dozen exploits used internally by the NSA. Their identity and motivations are currently unclear. Spamming is potentially very profitable, and there's a silent war for your inbox going on every second of every day and night. Since it costs so very little to send the same email to millions of email addresses, even one result in 10,000 emails can be a profitable business. It’s interesting to see where these emails are being sent from, and sent to. These days, email is the small fish of the spam business. Social media is where the real game is. Fake followers on Facebook, Twitter, Instagram, and the like are booming as users seek to artificially increase their follower numbers and engagement, and therefore their perceived legitimacy.